I hope everyone is doing well. Today, I am going to share with you some pictures of one of my favorite designers, Stephane Rolland . Have you ever had a dream of attending a High Fashion Runway show in Paris or Milan? I have! 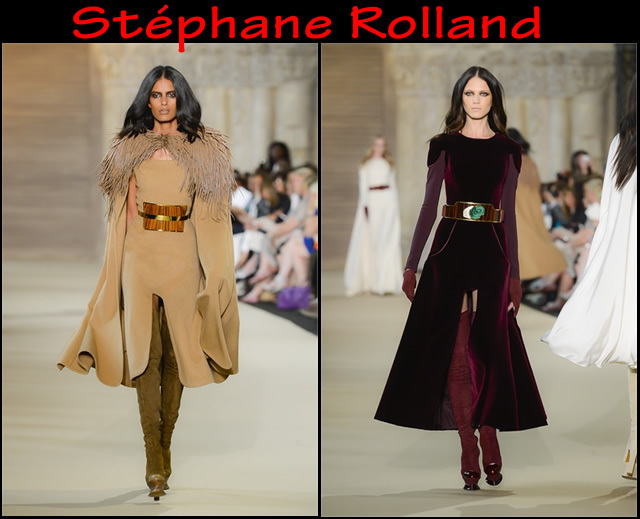 If I could choose one to go to it would be a Stephane Rolland runway show. I am in love with his work. His Haute-Couture Fall/Winter 2013 collection was bold and innovative, elevating the collection to the next level of glamour and elegance. If you look at all the details of his designs, the attention to the fabrics that he choose, the colors and in particular the accessories are just Amazing. I love the copper belts and capes. Who doesn't dream of having a dress like these? Here are some of my favorites. Thanks for reading and stay tuned for a new giveaway. I love the pieces you have picked! They're some gorgeous pieces, the colours are fabulous too!